Marin Made welcomes all kids ages 9 to 16 for a one day class in MIG (metal inert gas) welding! Diana Coopersmith, professional metal worker and passionate welding instructor, will be teaching students about the fundamentals of MIG welding, including metallurgy, preparation, technique, finishing, and safety. We will practice some technical welding exercises and then transition to a beginner-friendly creative project. The class will also include some plasma cutting and water jetting. Parents welcome! Marin MADE welcomes all girls ages 10 to 16 for a one day exploration in MIG (metal inert gas) welding! We will practice some technical welding exercises and then transition to a beginner friendly creative project. The class will also include some plasma cutting and water jetting. Parents welcome! 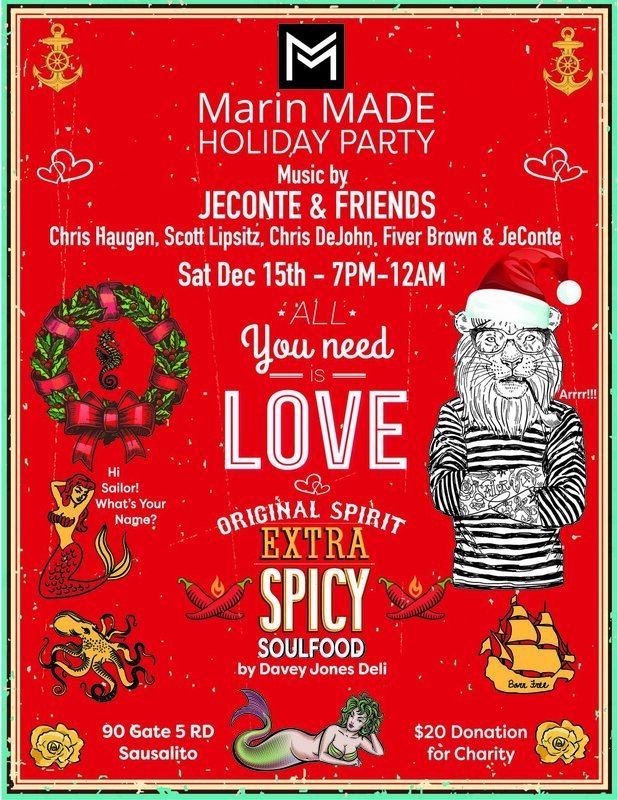 Come one, come all, to our saucy holiday party!